Here’s a question that you may ask yourself every time that you load up your horses to trailer to the nearest equestrian accessible trail – wouldn’t it be nice to ride out my back gate, get on a local trail and head out to the park, the woods, the shore or anywhere that didn’t involve a fill-up or two? Some of you are very lucky and have that situation. The vast majority of us are not. 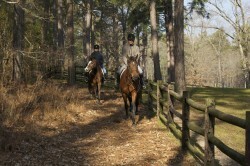 Sure, you want to have the trail to yourself, but it’s valuable for non-equestrian trail, park and open space users to have the opportunity to see your horses in their natural state (saddled up with you on their backs), within their real worlds, because it could help to alleviate their fears and engender a lasting appreciation for the riding experience. It might even bring them into the fold. And that is more important than you might imagine. Community Planning – Are You In or Are You Out? Urban and suburban community members need to see and understand horses and their riders. Unless they learn how joyful and useful horses are to humans, and how they can interact safely with non-equestrians, these folks can help deny horseback access to trails and other equine facilities. Community members may have other priorities for their public lands. The increasing popularity of youth sports may supersede the desire on the part of the community for riding trails and facilities. For example, Masterson Station Park in Lexington, Kentucky, with extensive riding and cross-country facilities, is under pressure by youth-oriented sports groups to extend existing soccer and other fields to create a regional style sports park, eliminating equine use. Local equine groups continue to advocate for equine use via the planning and public participation process. Many cities that historically had equestrian trails and facilities are losing them rapidly, or have already lost them. Chicago, where equine facilities within the city have been completely eradicated, is an example. In New Jersey, many communities have suffered a rapid decline in horse properties and trails due to land use changes brought about by unfavorable planning decisions. 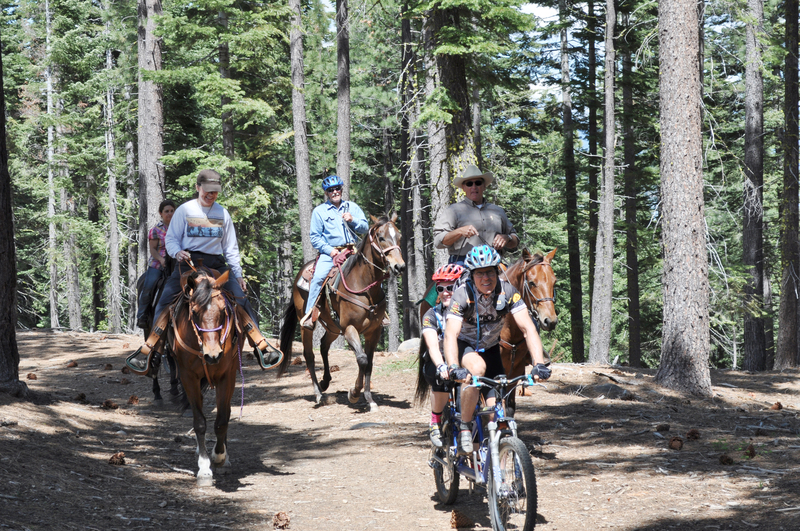 You may not be able to acquire direct access to trails from your horse property, but you can help your community to understand and respond, favorably, to your equine community’s recreational and land needs. 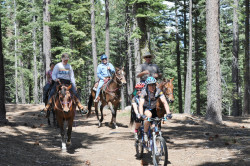 With both private and public trails, it’s extremely important that horseback riders behave well – respect riding rules, trails conditions and other users. Participate in trail maintenance activities. Share favorable information and events with the public via websites and social media. Advocate for a comprehensive trail system that connects individual trails, both through public and private land. Educate yourselves, the public and community planners about the value of horses. It’s very important to have local riding, show and boarding facilities within the community. This gives people that do not own horse lands to ride, show, board their horses or just enjoy equine events. Facilities keep horses in the consciousness of the community. Work with your parks department to develop the financial and operational means to create or enhance equine facilities. Understand and be able to explain the benefits horses bring to your community. The article Your Community Needs Your Horse (https://elcr.org/your-community-needs-your-horse/) is an excellent resource. Don’t forget that horse properties in the community are important to protect, including yours. Participate in Planning. Make sure that zoning changes in the vicinity of your horse properties are not adversely impacted by zoning development decisions.